When it comes to getting fit in the shortest amount of time, look no further than CrossFit. Through intense workouts that tap every resource in your body, you’ll discover that you’re stronger than you ever thought possible. 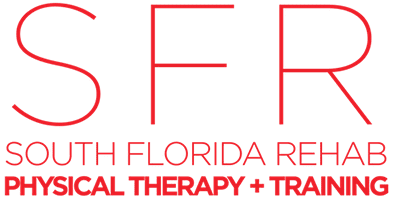 The physical therapists at South Florida Rehab and Training Center (SFR) in Miami offer CrossFit for professional athletes, as well as weekend warriors, with the understanding that a fit body is a healthy and happy body. To see how CrossFit can bring out your inner power, call or book an appointment online. Greg Glassman developed CrossFit in 2000, and it focuses on achieving maximum results in the shortest period by relying on intensity and core movements. The theory behind CrossFit is that the more work you do in the shortest amount of time, the more your body operates in a power mode, tapping all of its resources at once. This surge technique leads to dramatic increases in your fitness level. Since intensity is the key to CrossFit, these workouts are best done in a group, relying on those around you to encourage you to reach, and even surpass, your fitness goals. The physical therapists at South Florida Rehab and Training Center create workouts that promote camaraderie, fun, and even a little competition to fire you up. Crossfit is a high-intensity workout program that isn’t for the faint of heart. That said, anyone whose health allows can enjoy the benefits of CrossFit, and you can take it at your own pace (but expect to be pushed)! Even if you merely want to feel better and tap your body’s potential, CrossFit is a great way to discover just how powerful your body is when given a chance. The trainers at South Florida Rehab and Training Center are happy to work with you to find a program that best suits your goals. What sports is CrossFit training good for? In fact, South Florida Rehab and Training Center works with almost every type of athlete, from local high school sports teams and weekend warriors to professional athletes and Ironman competitors. The professional trainers are highly sought after for preparing athletes for the Ironman Miami triathlon, the Miami Marathon, and the Wodapalooza Fitness Festival. To learn more about how CrossFit can help you get in the best shape of your life, call South Florida Rehab and Training Center or book an appointment online. South Florida Rehab and Training Center has a “throwing program” specifically designed for baseball players. It employs techniques to enhance the strength and fitness of shoulders, arms, and wrists for players that need to train for any position -- catcher, pitcher, infielder, or outfielder.